...someone who didn't even finish in the top five! 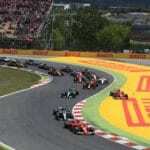 A barnstormer of a Spanish Grand Prix could fill the Badgerometer three times over - unfortunately for Laura Leslie, she could only pick out the top five things from Barcelona! What does the weekend have in store? 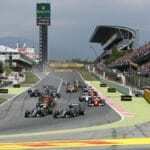 Rob Watts and Craig Norman preview the Spanish Grand Prix!